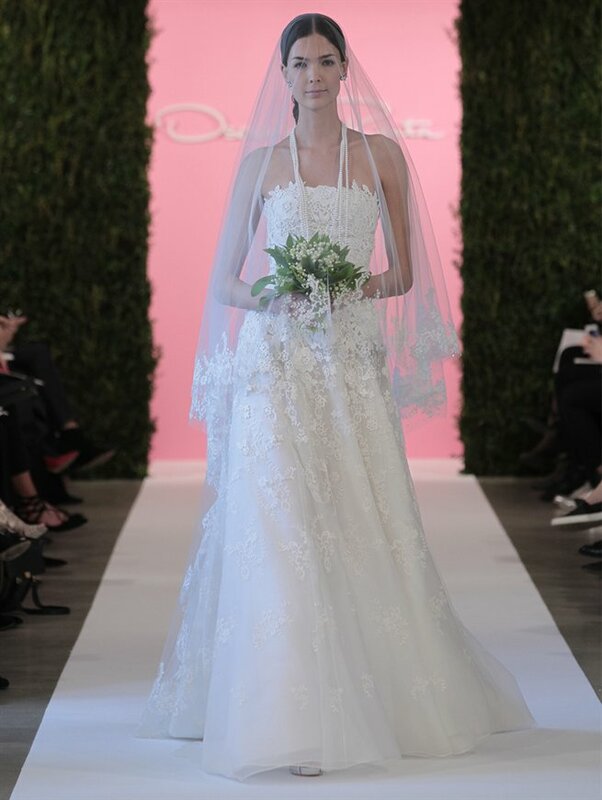 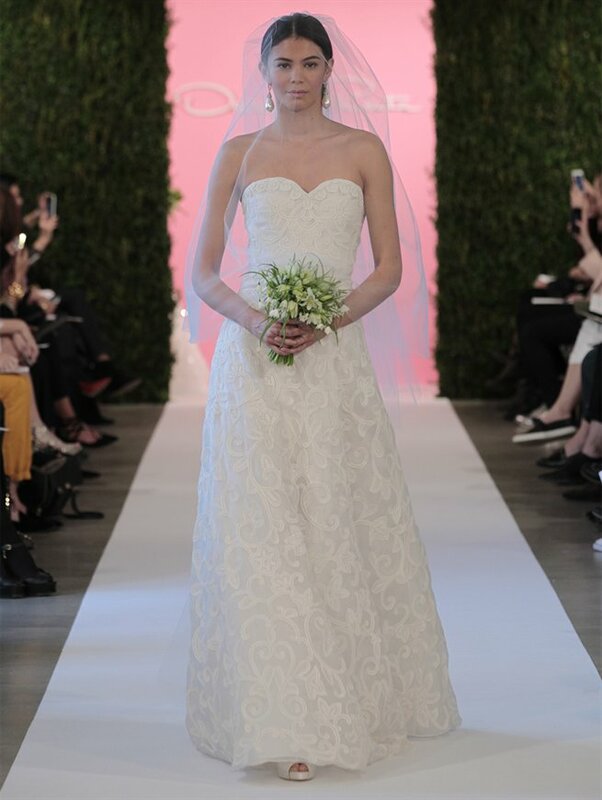 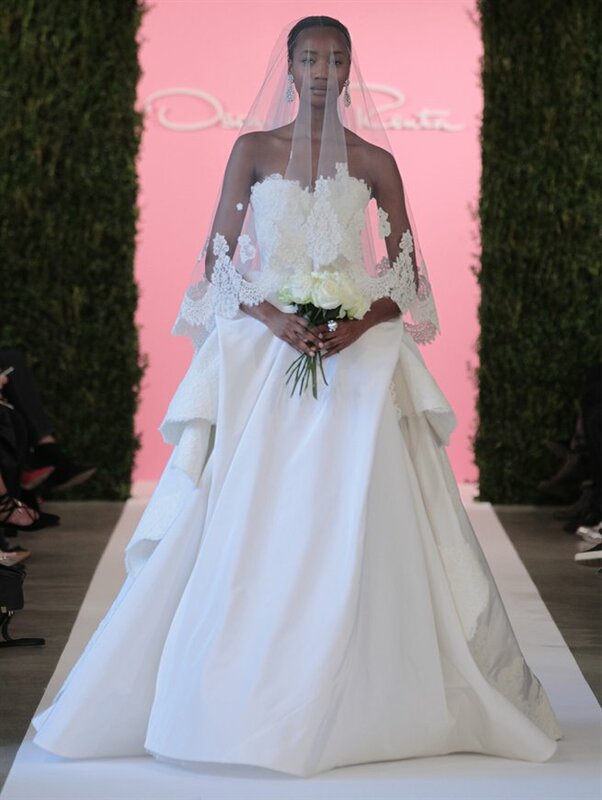 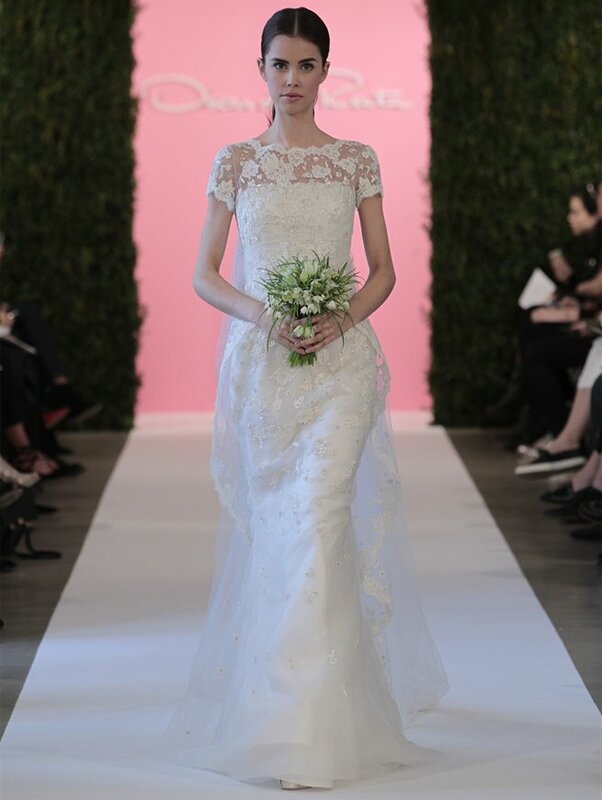 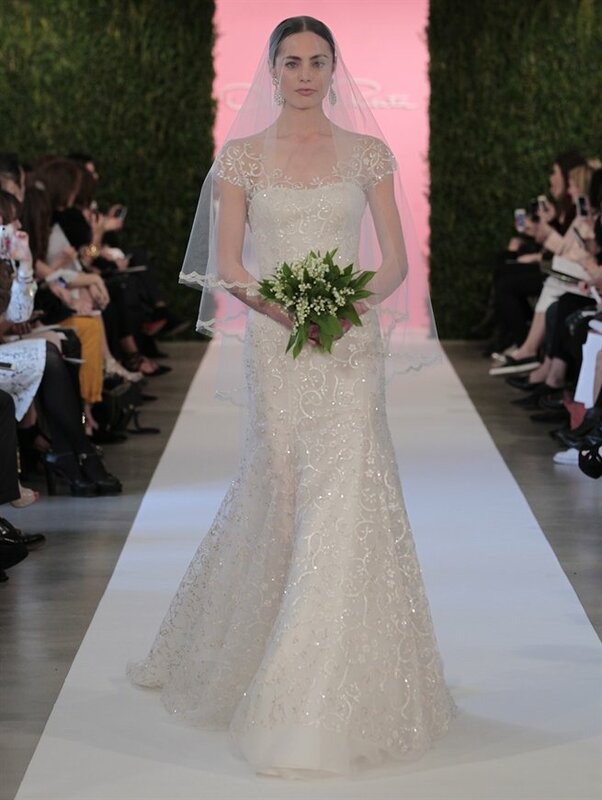 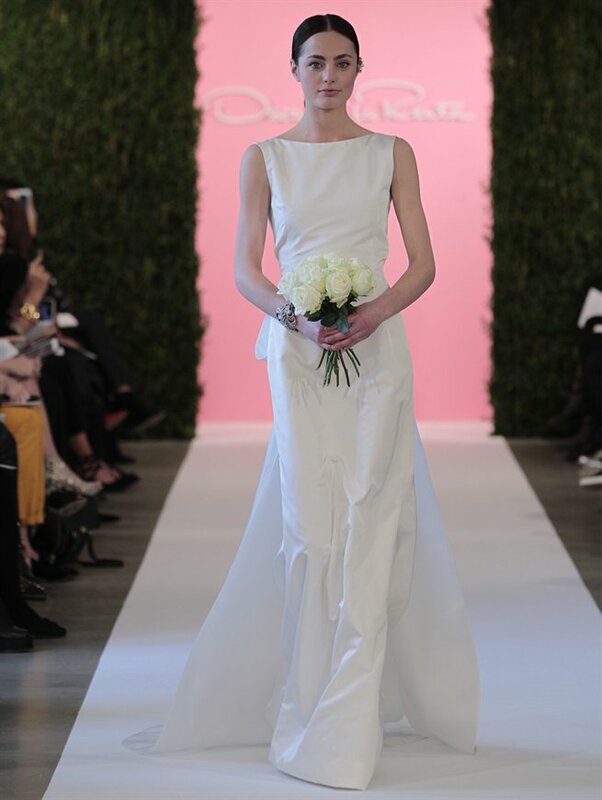 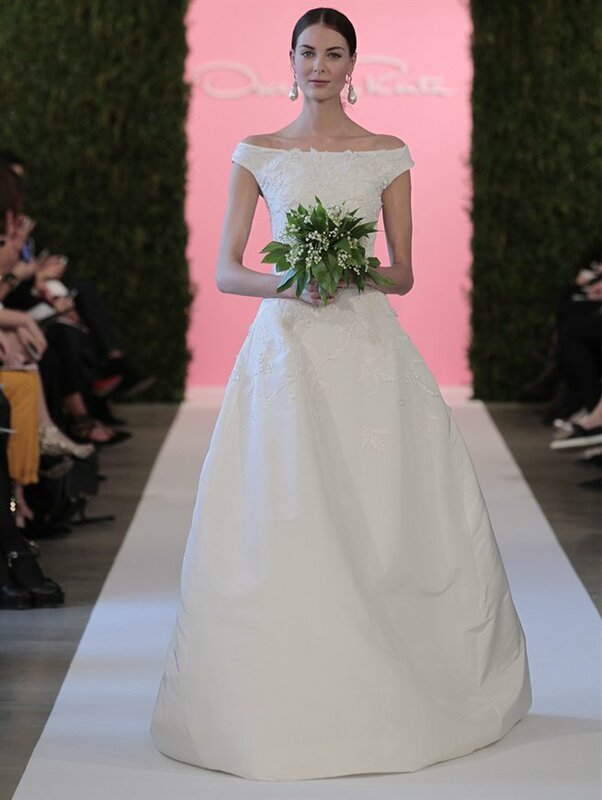 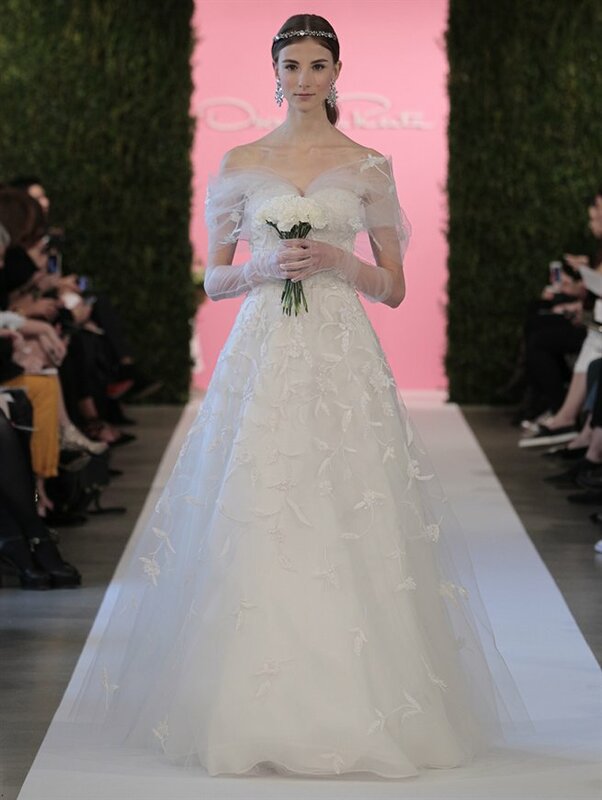 The Spring 2015 bridal collection presented by Oscar de la Renta in the Bridal Fashion Week in New York featured classic and elegant designs targeting different styles of brides. 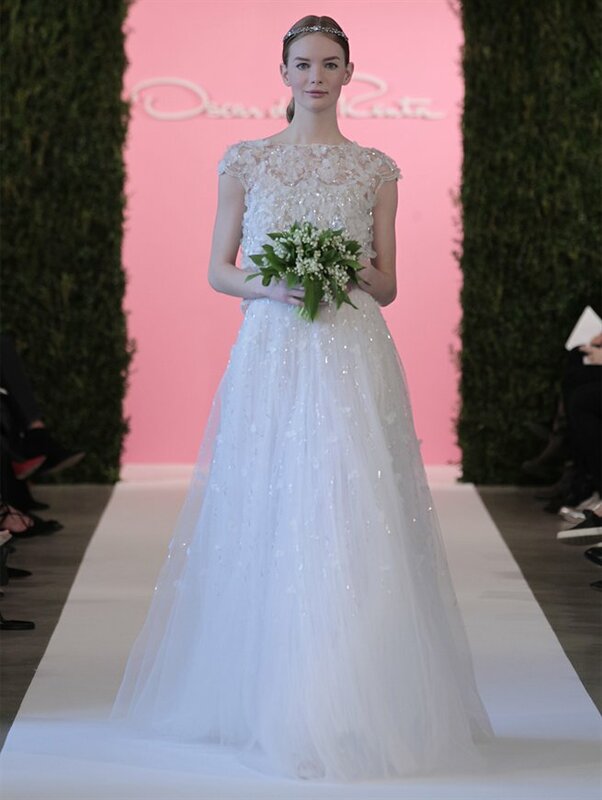 Most of the gowns were covered with embroidered overlays on Chantilly lace and silk organza appliqué flowers on tulle with sequins details. 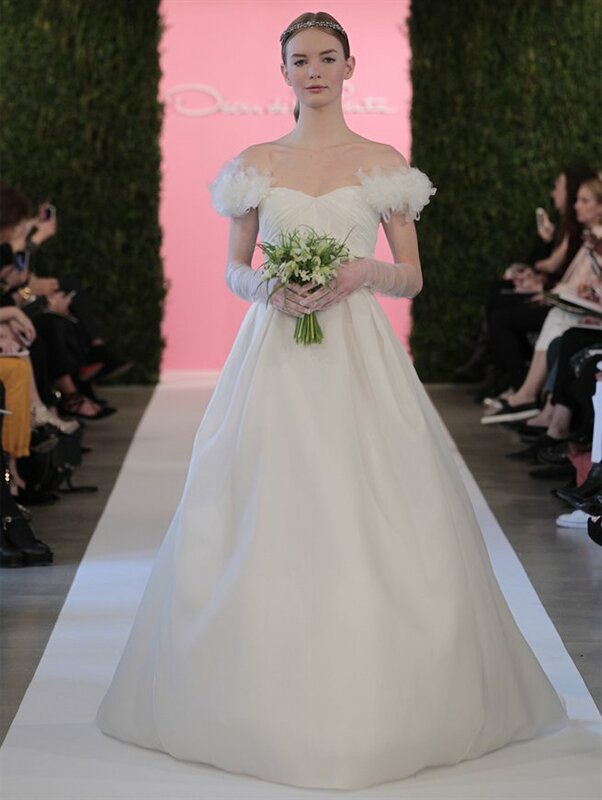 Illusion neck lines and off the shoulder gowns stole the runway.